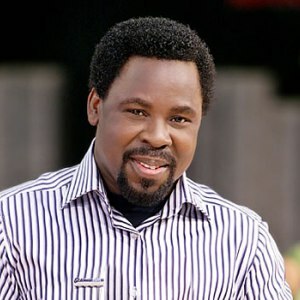 On Sunday, November 6, 2016, Pastor T.B Joshua of The Synagogue Church Of All Nations predicted that Hillary Clinton would be the next President of the United States. "Ten days ago, I saw the new President of America with a narrow win. The new President will be facing several challenges over many issues, including passing bills, attempts to possibly pass a vote of no confidence on the new President. The boat of the new President will be rocked. "By the way, in order not to keep you in suspense, what I frankly saw is a woman." After Trump's win, the facebook post can no longer be found on his timeline. The man of God has been trending on Twitter for his misleading prophecy with many Nigerians trolling him. This failed prophecy has caused the SCOAN leader to trend on Twitter with over 10.1K tweets and counting. A lot of the people are attacking the prophet, with most referring to him as false Man of God, while others are asking him to apologise. This post was syndicated from pulse.ng - Nigeria's entertainment & lifestyle platform online. Click here to read the full text on the original website.